The Joyetech eGo AIO is a terrific item for beginners, as well as smoking-quitters. 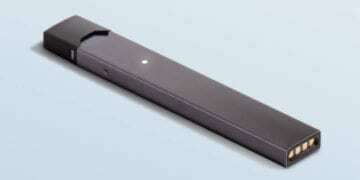 It is an all-in-one pen-style device letting you practice both mouth and lung vaping. 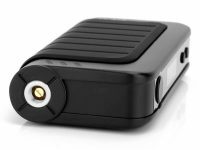 The eGo AIO vape has a compact size and is a perfect tool to take with when going out. The Joyetech eGo AIO starter kit contains the Joyetech AIO body, two coil heads (BF SS316-0.6ohm, 15 – 28W), a plastic spiral mouthpiece, a clear mouthpiece, a USB charger, a manual, and a warning card. 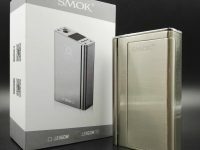 As for the vape coils, one may use the same as for the Cubis – they will work well with the eGo AIO. The available coils are 1.5ohm Clapton (MTL), 1ohm SS 316, 0.6ohm SS 316, 0.5ohm SS 316 and 0.2ohm Ni200. 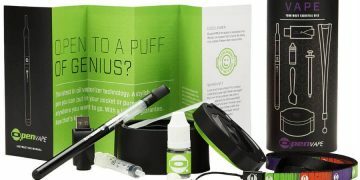 The device has a leak-proof tank in the capacity of 2 ml, featured with a unique top fill with a childproof lock. 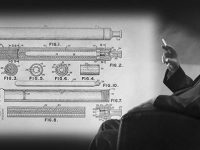 The size of the pen is 19mm in diameter and 118 mm in length. The battery capacity is 1500 mAh. 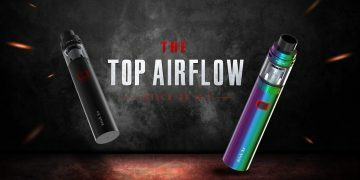 The airflow is not so potent as the one with the sub ohm tanks, but if you are not participating in any game of ohms, this one is notably good for you. The device is suitable for the direct lung draw, though the vapor production is not that strong. 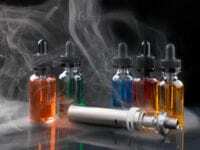 The sub ohm vapers may see it as restrictive. 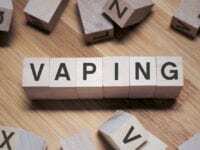 The Joytech eGo is fine with mouth to lungs vaping style; therefore, it is good for starters. 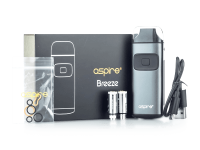 It gives a vaper much flexibility when compared to other devices. The eGo AIO design is typical for the eGo-style devices. The housing is a solid piece, with only one seam for an opening. The eGo AIO comes in black, black and grey, black and white, red, white and silver color variations. The tank gets lit with seven colored LED lights, which give the device a somewhat futuristic look. The lights may be turned on and off for the power-saving purposes. The unit looks best in the black color, but it’s up to your taste. The square black button fits well to the finger put on, and the glass triangle window will show the amount of e-liquid left. 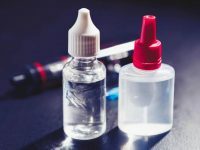 The build is also thoroughly thought out, as the atomizer heads have holes for e-juice at the bottom of the tank, so you continue vaping even if the contents level gets low. 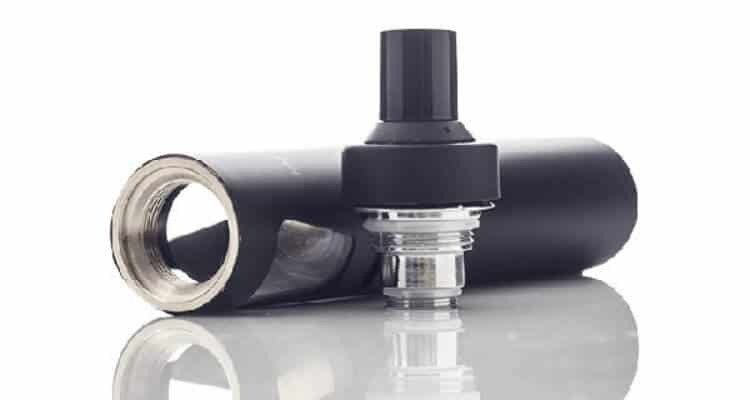 The design of the drip-tip prevents from splash-backs, and its material (plastic) is heat-resistant. The whole thing is short, substantial in weight and feels quite pleasant in your hand. – The childproof lock. Before opening, one has to push the lid down. – Top fill. The eGo AIO vape pen is very comfortable to fill from the top. – Charging port. 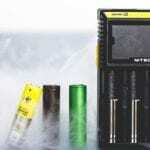 Plus, you can vape even when charging, which is an excellent quality for impatient chain-vapers. – Battery life. 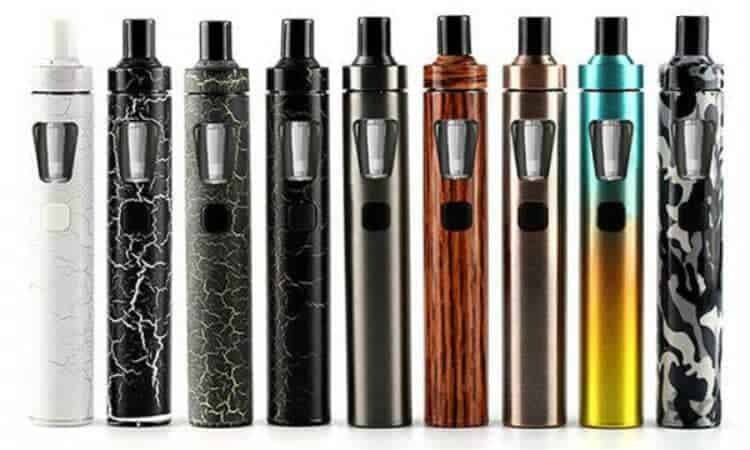 With a 1500mAh battery, the Joyetech Ego AIO operates all day of moderate-level vaping, which is a notable life-span. The battery features security mechanism protecting it from over-charging and discharging. – Size. Being a tiny in measures vape, the Joyetech eGo is very ergonomic and comfortable to carry around. – Coil. 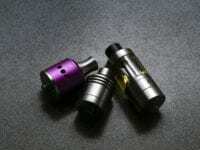 Vapers have a wide range of options for coils to try out with eGo AIO. The 0.6ohm coil and the 1.5ohm Clapton worked fine with us, but that’s not your limit. The device doesn’t produce tornado vapor like RDAs and RTAs sub ohm tanks; still, it is terrific for beginners. – Price. 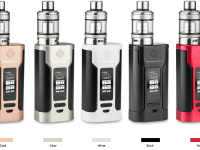 The Ego AIO comes at an affordable price of $25 which is perfect for the indecisive starters who aren’t yet willing to go pro in their vaping experience. 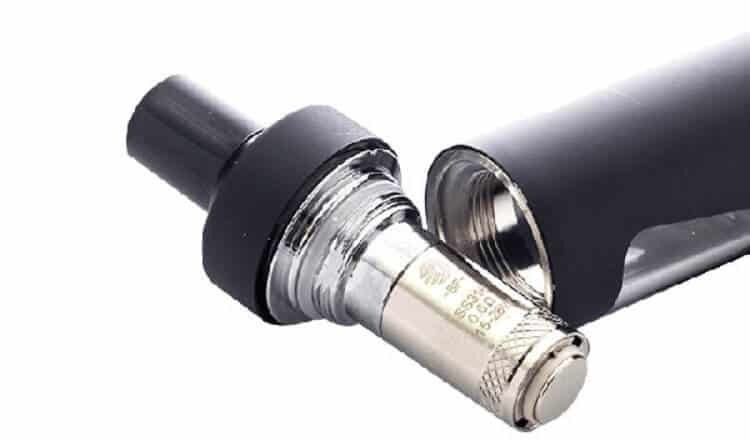 – An anti-slip drip tip. 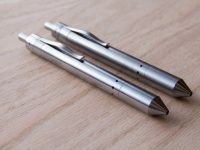 The spiral design prevents e-liquid from splitting that might happen. – Excellent flavor production especially for a device of an entry level. – The lack of airflow control markings. It does a lame job when adjusting the airflow, due to this quality. The MTL works best when the dot is moved 90 degrees to the central marking when it’s wide open it sustains the direct-into-lung vaping. The rest of modes require enhanced markings. Perhaps it’s the main of eGo AIO problems. – The wattage is not variable, which doesn’t let users set their preferences. 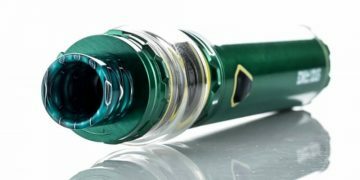 It’s a drawback vape-savvy users will cringe at while newbies won’t really detect it. 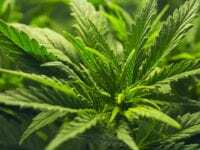 – Doesn’t go well with vegetable glycerin juices. It has a burnt taste when filled with VG, so attention when choosing a coil protects from nasty surprises. – When accidentally pushed, the button may switch the device on and off, when carried in the pocket, and some way to avoid this would be a solid point of improvement. Portable, functional, featured with protective mechanisms, the Joyetech eGo AIO is excellent for newbies, switching smokers and experienced vapers requiring a mobile device to go around with. The five-star performance merged with a user-friendly uptown design is the best representative of all-in-one style devices available on the market. 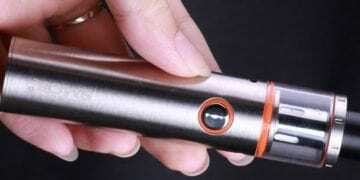 The cost-effective price is another pro to win fans among starters, looking for a fill-up-and-vape e-cig. It’s usability, and battery life comes to the fore in all eGo AIO reviews, as the primary positive trait. 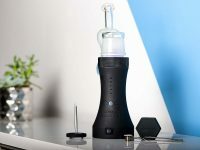 Reviewers admit some lack of features present with top-notch market leaders, but excellent performance in combination with one-button functionality makes this vape a number one recommendation among beginner mods. Don’t avoid challenging the pros of the Joyetech eGo AIO, and you won’t get disappointed!